People of responsibility and virtue need to support smaller, limited government. 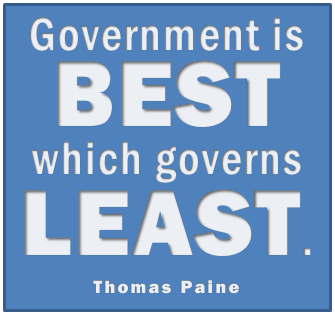 It's hard for us to accept libertarian government, but we need to do so for the sake of our own liberty. By telling us to give to Caesar what is Caesar's and to God what is God's, Jesus leads us towards libertarianism anyway.